Moving is a bear and something I hope I never have to do again. 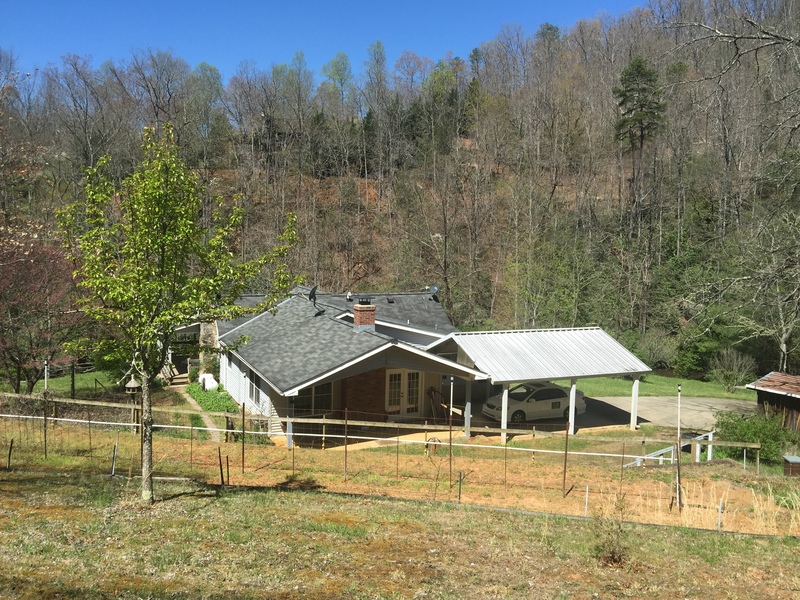 In April we sold our house in central NC, bought a house in Western NC, and moved to the mountains. There is a lot less traffic, less people, less stress. The scenery is gorgeous. Mountain views from every road. 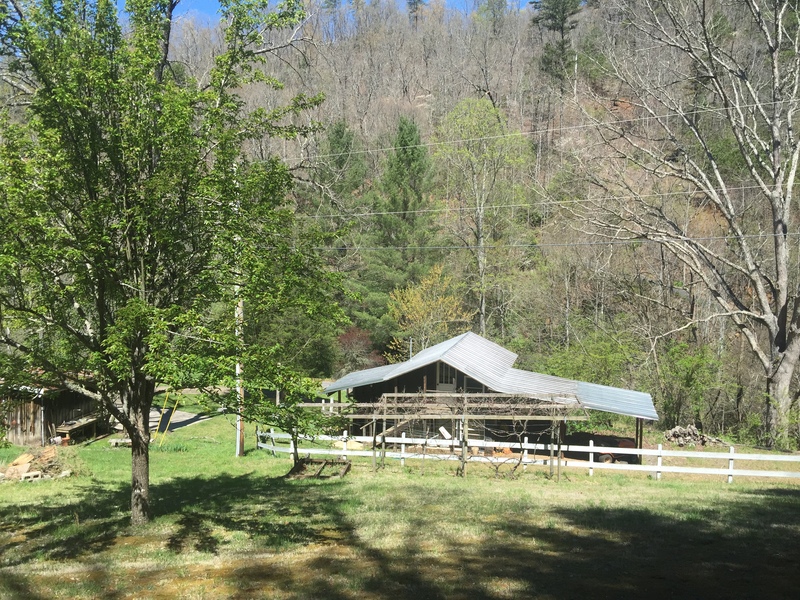 We bought a home with just over 4-acres. Only 1 to 1-1/2 acres is cleared though. It’s an old farmhouse with a barn and workshop. I just love old homes because they have so much character. 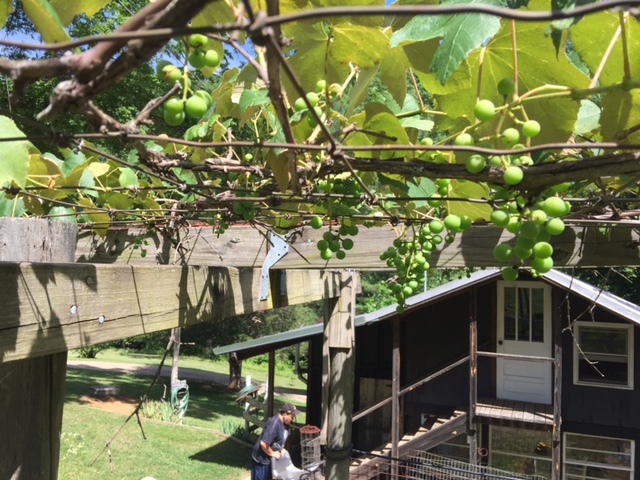 Also, we have a garden space, grapevines, and fruit trees. 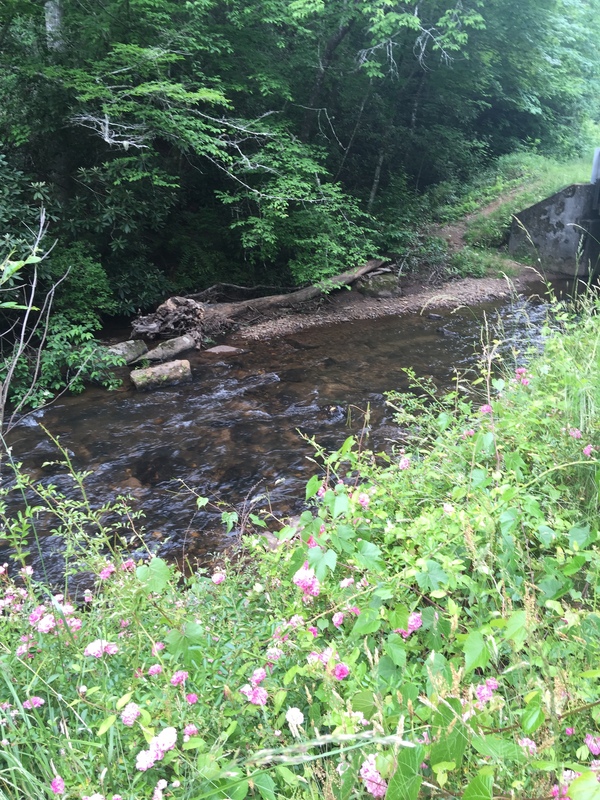 There is a creek across the road that we have fished several times. Another reason I love old homes is because they usually have mature landscaping. We have many, many different flowering plants in the yard and I love enjoying the fruits of someone else’s labor. 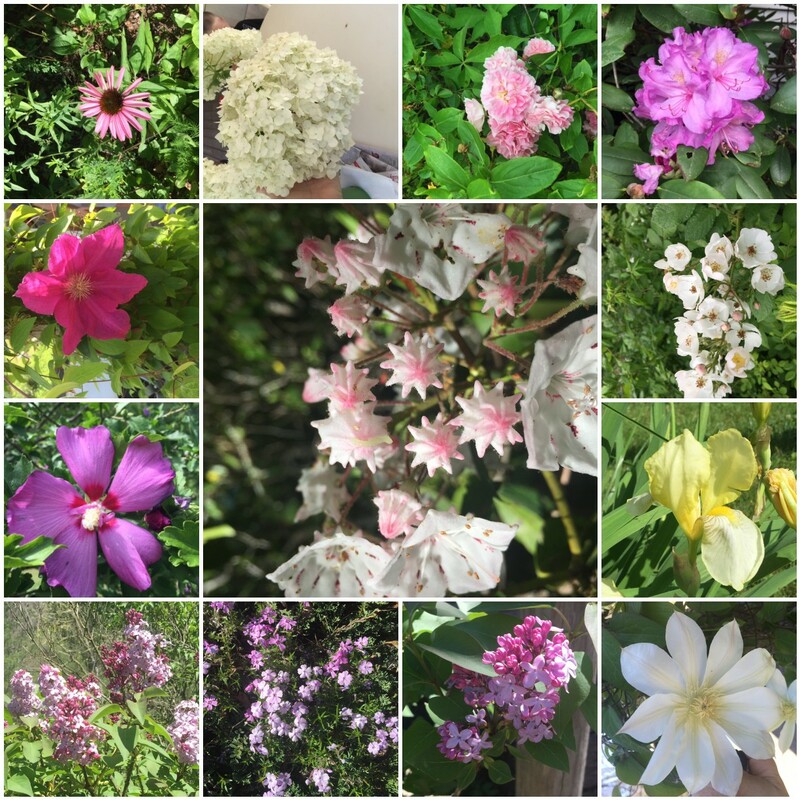 This is just a sampling of the flowers we’ve seen since mid-April. And one day we’ll have chickens and goats. Moving in has taken longer than we hoped but we are finally getting close to being done. But there is one big drawback to living in the country though – the internet is horrible! I guess I can live with that. This entry was posted in Family and tagged barn, farm, farm life, homesteading, moving, new home, new house, we moved by monkeyneedle. Bookmark the permalink. Thank you Carolyn. It sounds as if you have a little bit of Heaven on earth. Home grown organic meat sounds wonderful. Things are moving along slowly here, but hopefully we will have some baby chicks in just a few weeks. Between the moles, voles, and rabbits, our garden didn’t do much. We did get put about 15 quarts of tomatoes put up. Next year we will be more prepared. Thanks so much for visiting! Hi Lynn! Love your pictures and so excited for you and your family! Moving is tough, but all will come together eventually. Love, love LOVE your property and home! Thanks Jenn. You know a bit about moving too I see. Hope you enjoy living on the West Coast. Sherri was so happy to have you back in the US. Hopefully she can find time to travel out there to see you.